It’s that time of year again! The Wilsonville Rotary Summer Concerts are going on this July and August—and all are welcome to attend. The best part? 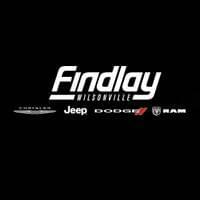 Findlay CJDR—your trusted supplier of new Chrysler vehicles—is sponsoring the event, letting Wilsonville and Portland area residents sit back and enjoy the music FREE of charge. All opening performances will begin at 5:30 p.m., followed by headliners at 6:30 p.m. Check below for more details! The Wilsonville Rotary Summer Concerts showcase some of the most talented popular and up-and-coming musicians in the Portland area. Big Night Out, Johnny Limbo and the Lugnuts, Cloverdayle, Linda Hornbuckle, and many others have graced the stage. The atmosphere is informal and relaxed—perfect for a night out with the kids. Grab take-out from one of the area’s many great restaurants, set up a few lawn chairs or a blanket, and enjoy the show! Findlay CJDR, located right here in Wilsonville, is a proud sponsor of the Wilsonville Rotary Summer Concerts. Sponsorships and tourism development grants from the city help to keep the event free of charge for attendees. When you attend, however, you can listen to great music and pitch in toward a good cause. Feel free to donate to End Polio Now by Rotary International—a worldwide campaign that aims to spread awareness about the need for polio vaccinations for kids. Findlay CJDR couldn’t be more excited to have a hand in making this year’s Wilsonville Rotary Summer Concerts possible! If you have questions about the concerts, our other sponsorships, or our current vehicle lineup, contact us at (503) 498-6637. Our phone lines and doors are open from 9:00 a.m. to 8:00 p.m. Monday through Saturday, and 10:00 a.m. to 6:00 p.m. on Sunday.